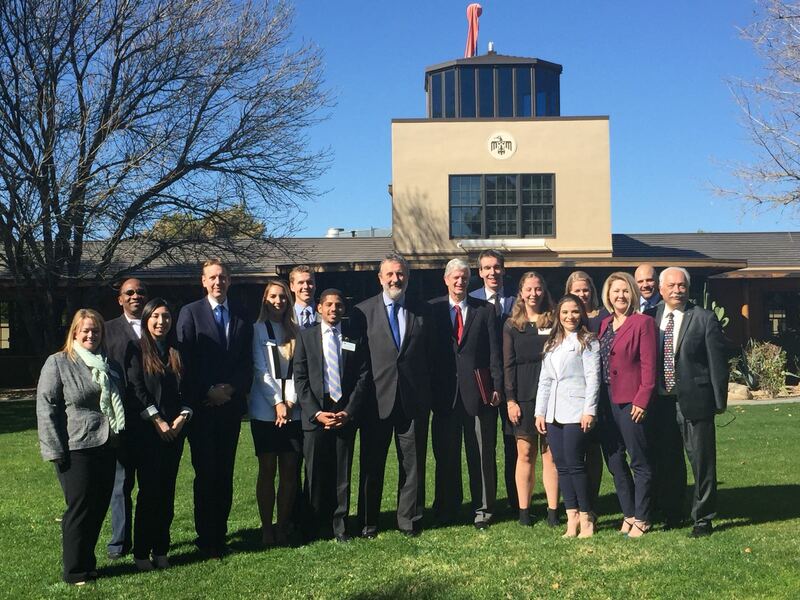 Ambassador Henne Schuwer visited students at the Thunderbird School of Global Management in Phoenix, Arizona, on January 23. Trade is an important part of the relationship between two nations, but so is their shared history, culture, and politics. 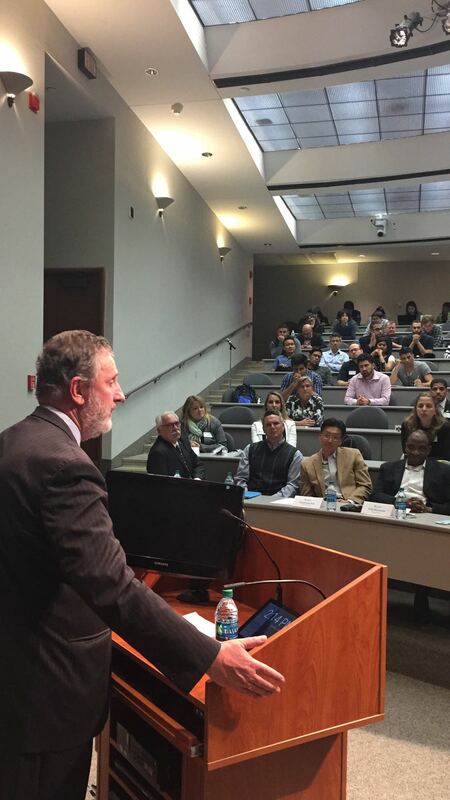 That’s the message Ambassador Henne Schuwer delivered to students at the Thunderbird School of Global Management in Phoenix, Arizona, on January 23, during his discussion on the Dutch role in the US economy. The ambassador started by noting the history of the university, which was named after a nearby World War II air base where pilots from around the world came to train. More than 70 years later, Dutch pilots still come to Arizona for that exact reason. 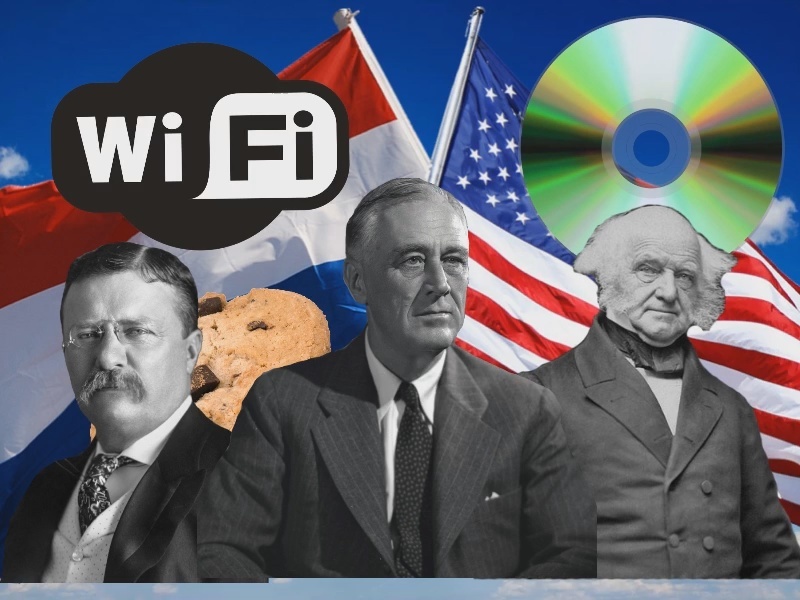 The partnership between the US and the Netherlands is a testament to this, as the US is the No. 1 foreign investor in the Netherlands with $723 billion in investments. And with a $274 billion investment in the US, the Netherlands is a fixture in the top five largest foreign investors in America. In addition to discussing the relationship between the Netherlands and the US, the ambassador highlighted the importance of global political and economic issues including the Trans-Pacific Partnership, NAFTA, and the US trade deficit. Ambassador Schuwer also stressed that relationships between countries run deeper than their export and import numbers. The cemetery Ambassador Schuwer mentioned is the World War II Netherlands American Cemetery and Memorial in the village of Margraten. It is the final resting place for 8,301 American soldiers who died liberating the Netherlands from German occupation during World War II. That year, a Dutch East India Company ship, the Halve Maen, captained by Englishman Henry Hudson, landed on the shores of what now is Manhattan, leading to the establishment of New Amsterdam by Dutch-American pioneers. 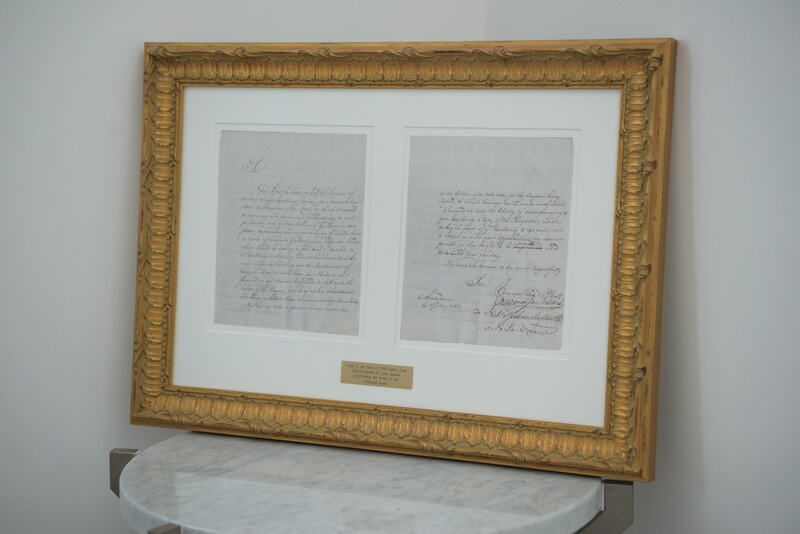 This history should not be overshadowed by the economic relationship that exists between between the US and the Netherlands. 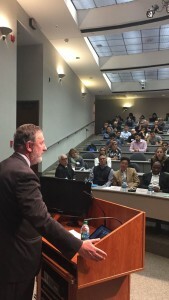 After his lecture, Ambassador Schuwer answered questions from the students including one about the effect that President Trump’s administration has had on Dutch companies investing in the US.